For professional brewers, CBC is the number one environment in North America for concentrated, affordable brewing education and idea sharing to improve brewery quality and performance. Twelve distinct educational tracks provide attendees with over 80 seminars led by top minds in the beer world. 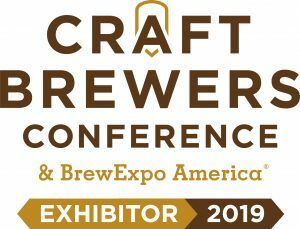 Bringing together more than 13,000 attendees and 800 Exhibitors, BrewExpo America® allows exhibitors and buyers to develop profitable business relationships and helps brewing professionals encounter the latest and best products and services that industry vendors have to offer. Assured Automation has been providing manual and automated valves, actuators, flow meters and valve accessories to the brewing industry since 1983. Brewers of all sizes have come to rely on Assured Automation for our quality products, expert service, and the ease of using our interactive online Valve Configurator to quickly specify valve assemblies. This entry was posted in Food/Beverage, Latest News and tagged beer, beer meters, beer valves, brewery valves, brewing valves, CBC2019, Craft Brewers Conference, Craft Brewers Conference 2019. Bookmark the permalink.